Go ahead and scroll down below the video to begin learning more about the latest version of the Nissan Frontier. Stop worring about your next Nissan purchase; look to the well-known Frontier franchise in Albuquerque for well researched reviews authored by automotive enthusiasts. Every paragraph comes jammed with invaluable facts, specs and research - just what you need to make intelligent decisions on your next Nissan Frontier purchase. Does the Frontier have what it takes to be your next Nissan? Continue reading and find out! 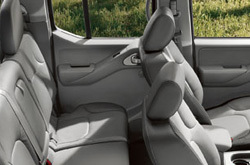 By examining the 2013 Nissan Frontier alongside the 2013 Honda Ridgeline, GMC Canyon and the Toyota Tacoma, and you can notice that the Frontier beats out those autos in loads zones. View the hightlights below. 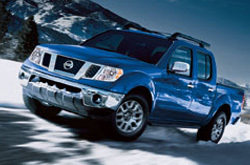 See inside the 2013 Nissan Frontier - view video here! Our Nissan dealership in Albuquerque is lodged near many local cities! So, you're a brief spin away from receiving actual OEM parts and work from Nissan technicians! We also provide a lengthy warranty on repairs! Even the quality Nissans in Albuquerque can take a pounding, so turn to the Nissan service and autp repair specialists in Albuquerque at Reliable Nissan. We handle a variety of jobs with finesse, including Nissan battery replacement, front and rear brake pad swaps and, of course, heavy tasks like engine repair - and this is just a small part of what we can tackle. For inexpensive, reliable Nissan car repair in Albuquerque, the main place you should take your Frontier is Reliable Nissan. Save money on your next service appointment - click the link below to learn more.